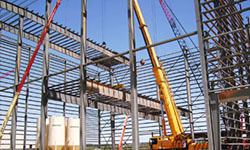 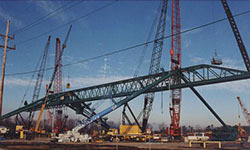 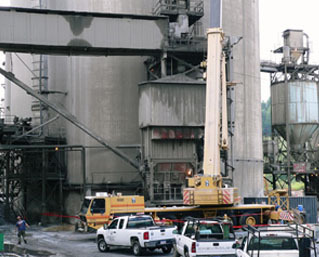 heavy-industrial - BSE INDUSTRIAL CONTRACTORS, INC. 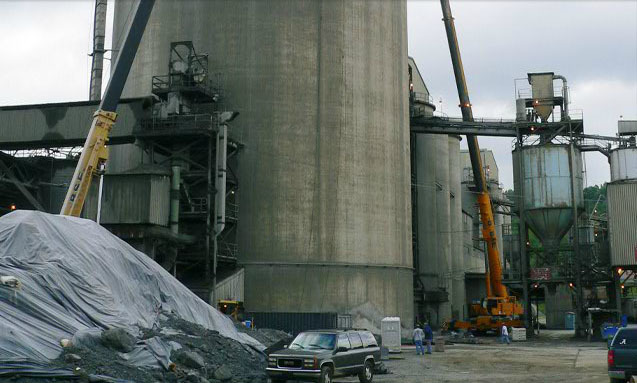 Replacement of (2) Coal Handling Skip Cars and Bull Wheels using our 777T Manitowoc 230-Ton Truck Crane and one Grove RT745 45-Ton Rough Terrain Center Mount Crane. 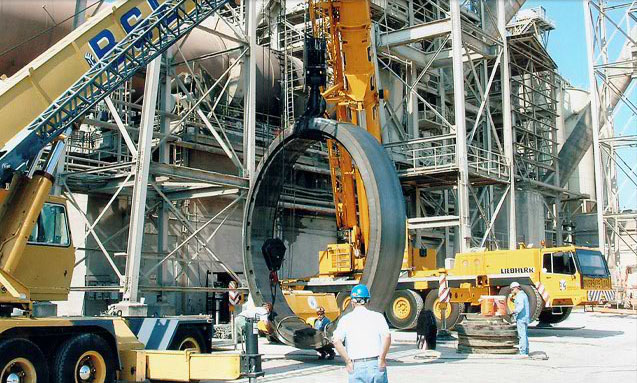 Each car weighed 68,000 lbs ( 34 tons ) and each Bull Wheel weighed 40,000 ( 20 Tons ). 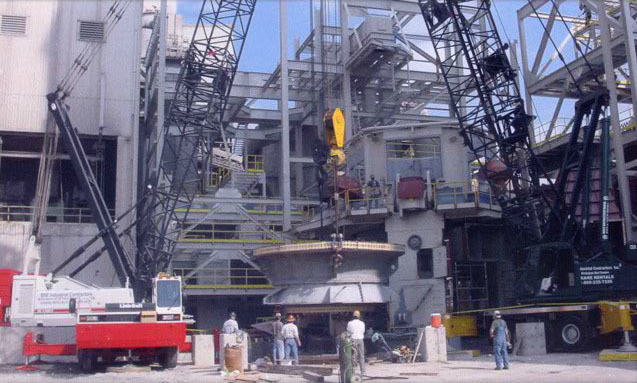 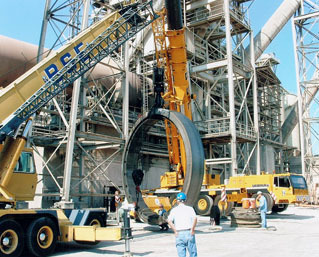 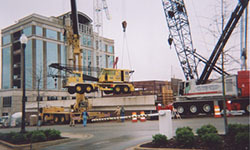 Using a Liebherr LTM 1160/2 Hydraulic Truck Crane, BSE replaced a thrust tire weighing 85,000 lbs. 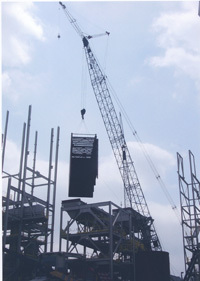 ( 42.5 tons ). 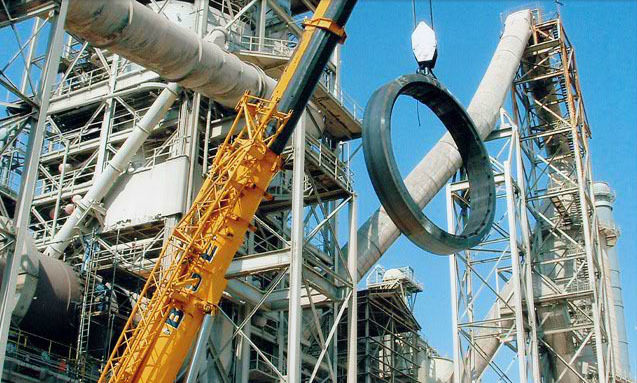 We then replaced the kiln shell section using submerged arc welding equipment.